Having a library not on Maven Central or at least on Bintray is not state of the art. I mean, we are in 2016 and most of the developers would like to use Maven, Gradle or other modern build systems for resolving library dependencies against artifact repositories automatically. However, the challenge is not only to get a library into these repositories anyhow, but to get them in automatically through a continuous integration process. The setup is not very complex, but nowhere I had found it written down at once. So I will do it here for all others who need a similar solution, hoping it is valuable for them. And, I do it also as documentation for the members of this committee. 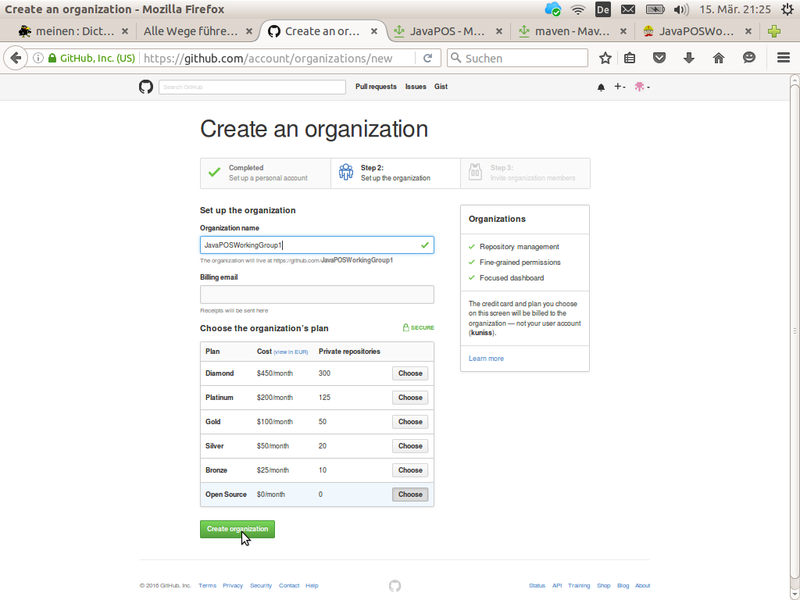 The first step is to setup an organization after having logged in to GitHub (a GitHub account is needed for that, of course). Goto your profile page and click the Organization menu entry on the menu shown under Personal settings. There will appear a (may be empty) list of already created organizations. 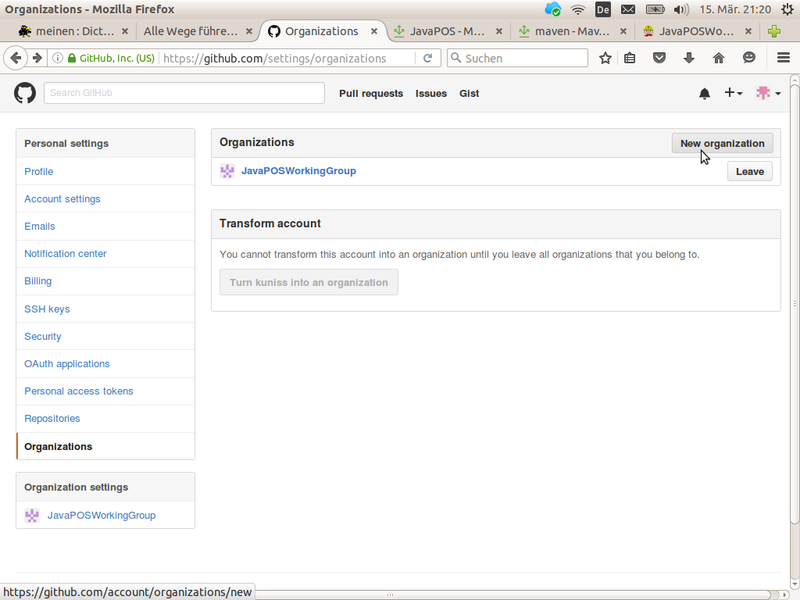 On the right upper corner there will be a button for creating a new organization. 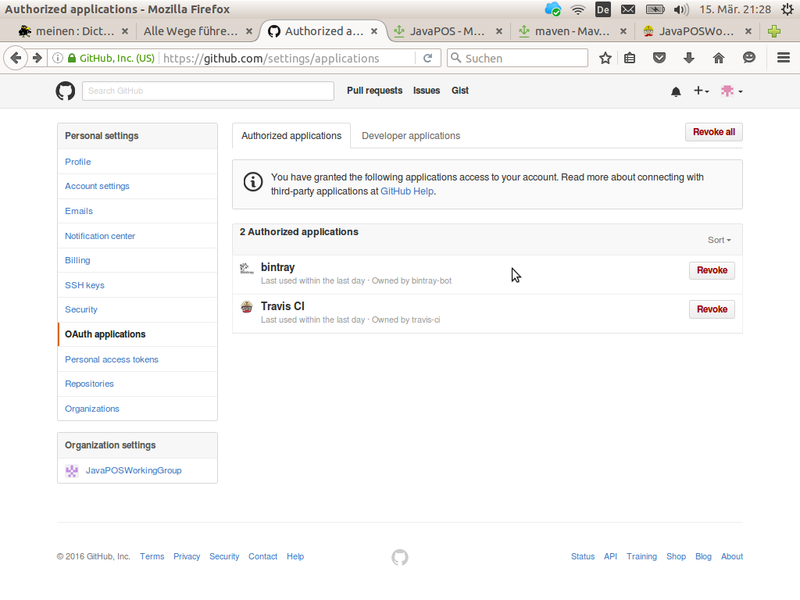 To get the third party applications displayed it may be necessary to create accounts on Travis-CI.org and Bintray. 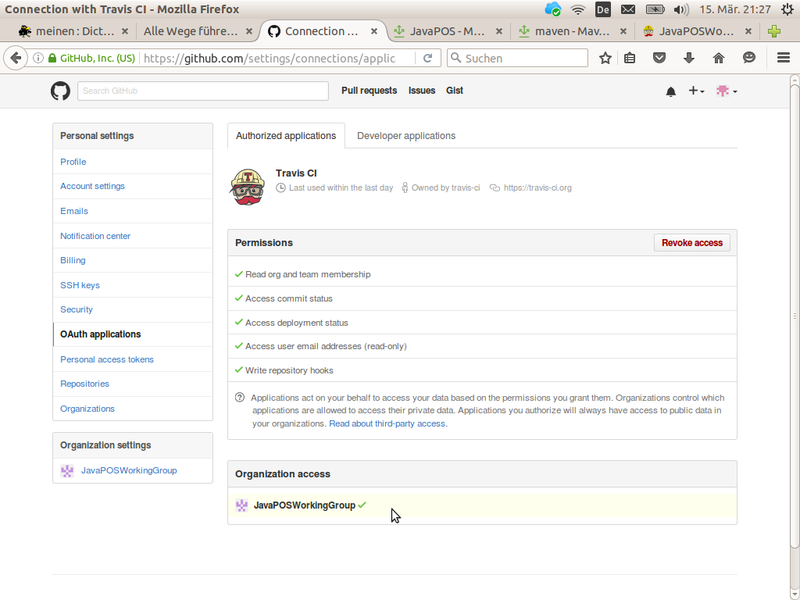 You may log in there trough your GitHub account; look for appropriate GitHub icons on the the side’s login pages. Do the same for the second application, here Bintray. 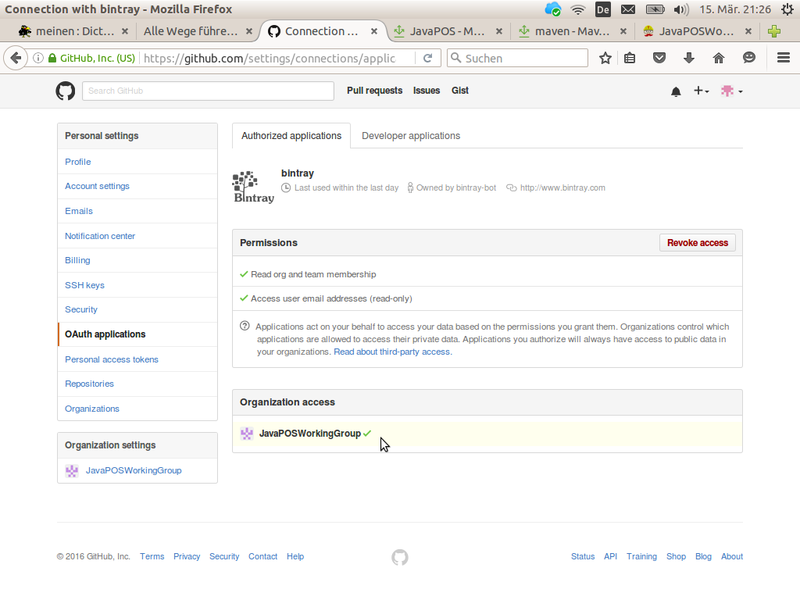 The GitHub integration on Bintray is done quite well. An organization would be visible on your’s users profile page. 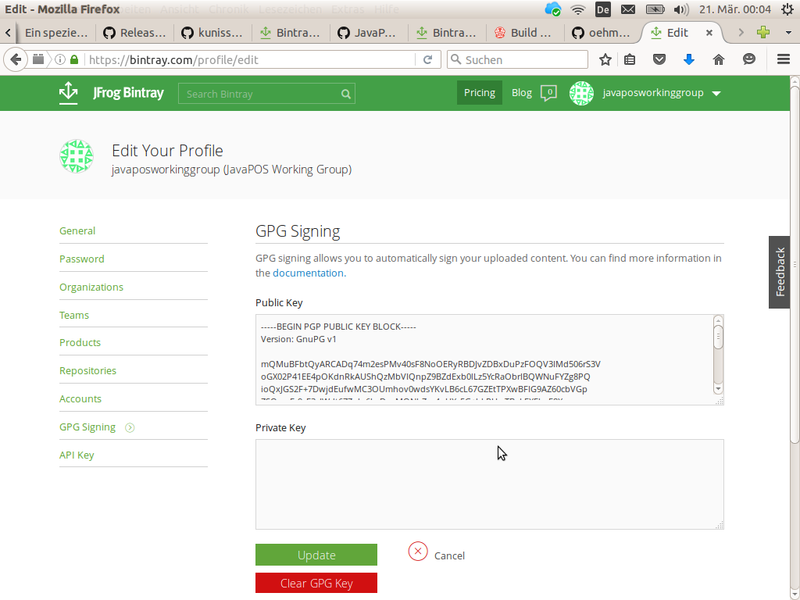 Unfortunately, either Stefan Oehme’s Gradle Bintray publishing plugin or Bintray’s service API itself is not able to handle an automatic publishing for organizations. However, for ordinary users it works well. Therefore, I have registered an own generic user for the organization. Its account will host the libraries we want to publish. 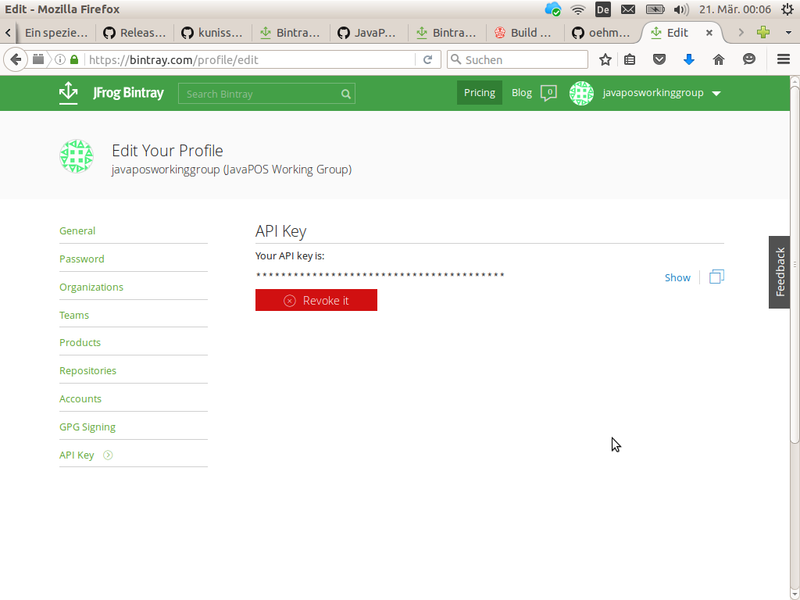 This key will later be copied to the project’s Travis CI configuration dialogs. However, that’s not all. 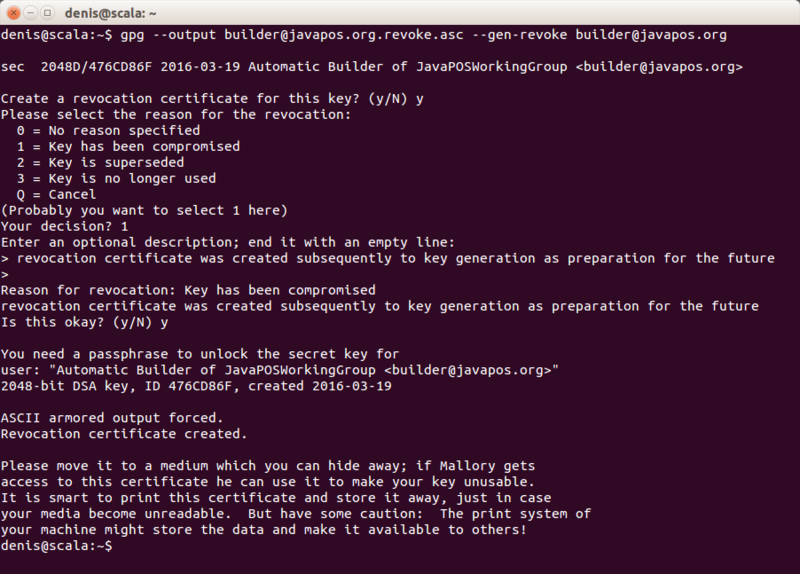 For publishing to Maven Central from Bintray all Java libraries must be digitally signed. 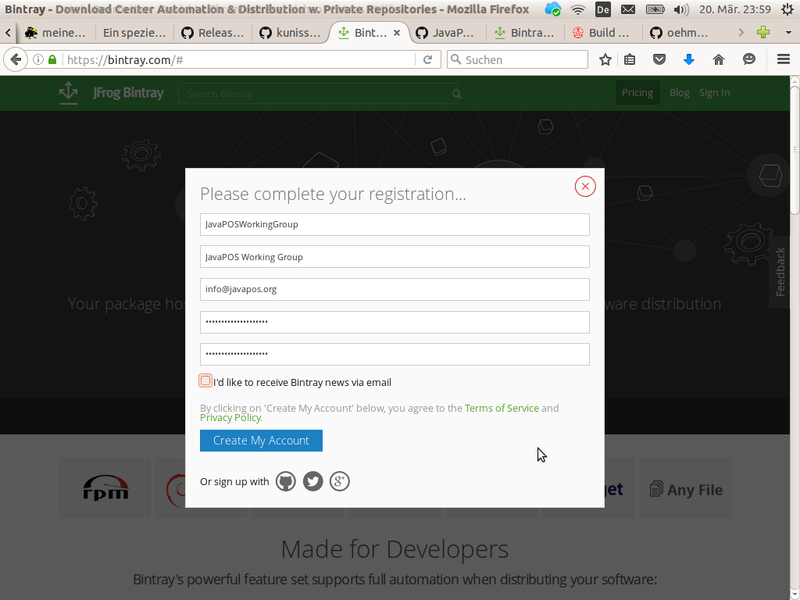 Bintray supports signing of published libraries trough their service APIs. However, the cryptographic key pair for that must be stored at Bintray. which will guide you trough the key generation, interactively. During this process you must be prepare to enter some names which should be chosen judicious. An email address of our organization which is related to the context of building libraries. This might be a generic one, e.g. builder@your-organization.org; but emails send to it should be caught by some one. A pass-phrase to protect your key pair from misuse. This is something like a password to your keys to avoid some one else, not authorized, is misuse them. In fact this pass-phrase is stored later on at Travis CI to allow digital signing through the Bintray service using the private key stored at Bintray. On my side the key ID used for export did not work. I did not figured out why. So, I used the hexadecimal ID shown by the list-key command. Note: Never use your ordinary cryptographic key pair, what you use in correspondences, for library signing. Even if the pass-phrase and the private key are stored at different service, Bintray and Travis-CI, some one who may have control over both, may compromise your keys! Just create a new one. 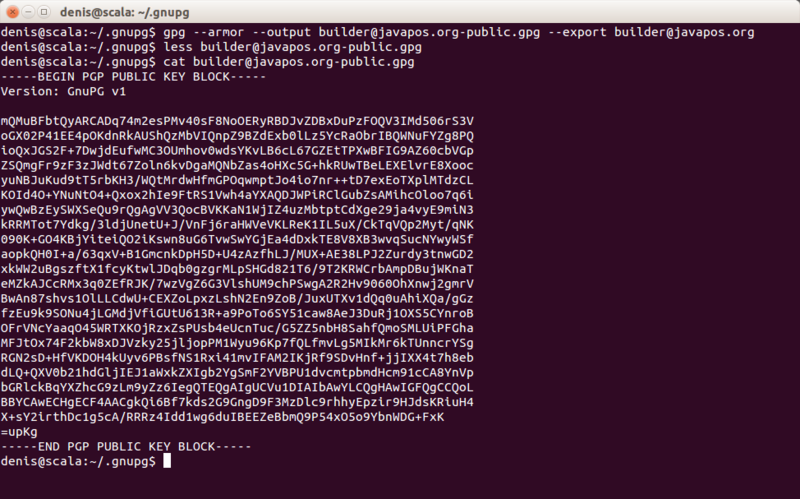 You may have more than one key in use with gpg. The group ID, the library will be published under. This is the most critical part, as this will be checked manually by a Sonatype employee. The ID must be unique and belonging to the requester. So, if it is a domain like “org.your-organization” you should be the owner of that domain. This is a on time task. You have it to do for your first library per group ID only. Subsequent libraries may published based on result of this first request. The group definition must be set to the group ID requested for Maven Central. Under contacts you may enter the email address used for creating the cryptographic key ID. The moniker is the human readable name of your organization. The roles definition should be set to owner. The other definitions are self-explanatory, I guess. For an example, see this build.gradle file. Choose one of them and download the license file from the given links. The sobula Gradle plug-in expects a text file; do not use HTML files. If the license you need is not supported, just fork the project, add your license under License.java and start a pull request Don’t forget the unit tests!). However, no release is published yet to Bintray and Maven Central. For that, you have draft a release on GitHub. This will force a build on Travis CI with a subsequent publishing of your library to Bintray if the assemble task itself worked well. The publishing to Maven Central, however, will fail for the first time as your library must be added to Bintray’s jCenter before it can be automatically published to Maven Central. For adding your library to jCenter, go to your library’s dash board on your organization’s Bintray profile. On the right side there is a menu item Maven Central. 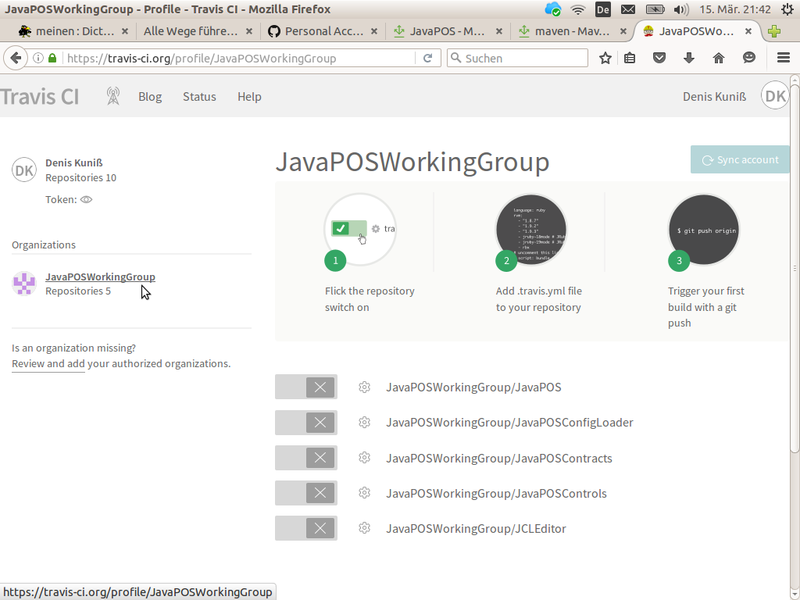 Hover over it to see the hover tag where is a link you may request your library to be linked to jCenter as precondition to be synced to Maven Central. This is a one time task and seems to require some manual effort on Bintray side. You will get an mail answer when it is confirmed. It does not need to be repeated for subsequent versions. 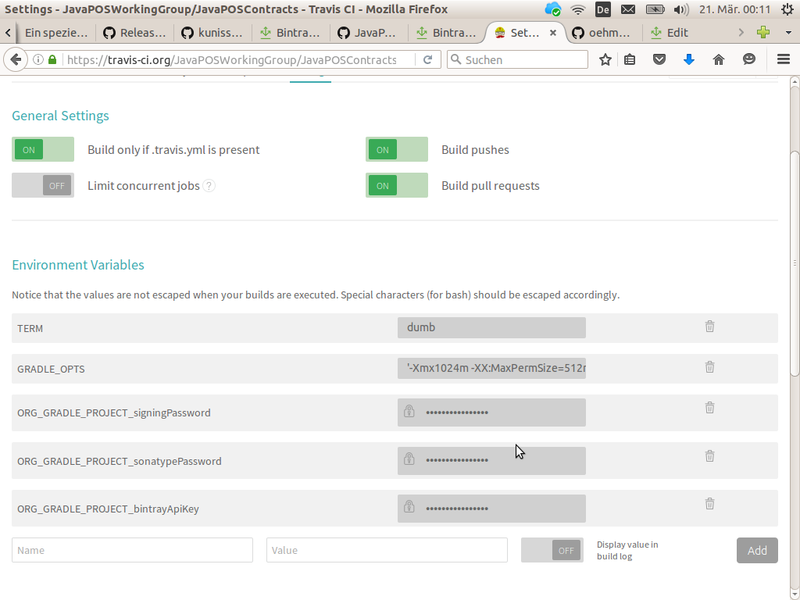 This entry was posted in Build, Cloud, English and tagged Bintray, Continuous integration, jCenter, Maven Central, Sonatype, Travis CI by Denis Kuniß. Bookmark the permalink. Next → Next post: Go Beyond Object Oriented Design — Let it flow!